Tracey Vieira, CEO of Screen Queensland, and Tim Soutphommasane, former Race Discrimination Commissioner of the Australian Human Rights Commission and current Professor of Practice at University of Sydney, have been named as the new Co-Chairs of the Screen Diversity and Inclusion Network. They will replace Courtney Gibson, currently CEO of the South Australian Film Corporation (SAFC). “Tim and Tracey are both passionate about diversity and representation and bring with them quite different but very complementary experience and skills. SDIN members and our industry will benefit from them working together as Co-Chairs,” said Gibson. Tracey Vieira is CEO of Screen Queensland. 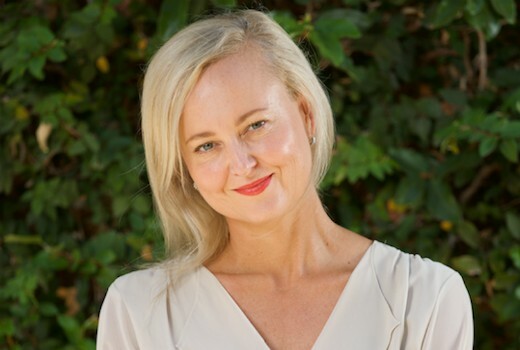 She was appointed to the role in 2014 after 10 years in Los Angeles in senior roles for Ausfilm, the industry-government partnership that connects the international screen industry with Australia’s screen incentives, talent and facilities. Under Tracey’s stewardship, Screen Queensland received the inaugural Media RING award for leading and inspiring positive change and last year she was named an AFR Woman of Influence. Tim Soutphommasane is Professor of Practice (Sociology and Political Theory) at The University of Sydney. He is a political theorist and human rights advocate. From 2013 to 2018 he was Australia’s Race Discrimination Commissioner. His thinking on patriotism, multiculturalism and national identity has been influential in debates in Australia and Britain. He is the author of five books, including the recently published On Hate (2019). SDIN members include all the broadcasters, state and national screen agencies, guilds and business association as well as MediaRING, FreeTV and AFTRS. SDIN members commit to supporting greater inclusiveness around workforce, talent development, training and partnerships. The SDIN Charter and a full list of members is available at www.sdin.com.au. It would be nice to see more diversity in casting for programming on television to reflect the multicultural identity of Australia. Especially regarding that the major cities and towns in Australia have had significant multicultural populations for many years. Many casting agencies have often said that they do not receive much diversity in casting applications and it’s often shows like MasterChef, for example, that tend to receive a decent amount of applications from diverse backgrounds. There could also be incentives for people from diverse backgrounds to pursue work in the television industry through acting or production schooling or preparation.